The OAL provides numerous tangible and intangible benefits that enhance your practice and your career. Louisiana is a state with many diverse career opportunities. Hundreds of successful optometrists work in all types of health care environments in Louisiana. We have found success in Health Maintenance Organizations, Preferred Provider Organizations, hospitals, clinics, educational institutions, commercial and private practice. The OAL has grown stronger by representing doctors from all modes of practice and joining forces to protect, promote and improve the optometric profession for a strong and healthy future. It is essential for all optometrists to band together to plan the future of their profession. A strong association with hundreds of members is much more effective than a single individual. All optometrists are vital links to the success of the OAL and ultimately the success of optometry as a whole. The OAL is the largest network of optometrists in the state of Louisiana, representing more than 300 members. Many opportunities, friendships, mentorships and professional relations have grown from contacts at OAL events. For new graduates, membership is especially important. The OAL is a great resource for questions about the day-to-day practice of optometry. Your membership in organized optometry puts you in contact with other optometrists in Louisiana and across the nation. You become a part of a tremendous network that gives you opportunities to participate in social events, business meetings, and educational seminars with other professionals who understand your concerns and share your specialized interests. Our association looks forward to assisting you in making your optometric career rewarding and fulfilling. 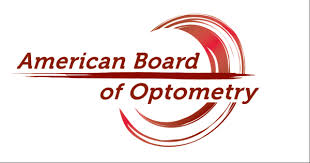 The OAL is governed by its members – optometrists like you – who are elected to leadership positions and appointed to committees that serve the activities of the organization. The OAL works because it represents you and all of the other optometrists who support the profession with service, commitment and dedication. Because of that support, the OAL has played and will continue to play a major role in developing and guiding the strong growth of our profession in Louisiana. Because optometry is a legislated profession, the decisions made by politicians have a direct and often long-lasting effect on optometry. The rules set forth in federal and state legislation have a broad impact on what optometrists can and cannot do with regard to patient care and the overall practice of optometry. Defending the rights of optometrists to practice full scope optometry is one of our most important roles. This may include working to defeat or modify bills which are unfair to optometry, or proposing bills which will advance our ability to practice and provide quality patient care. The OAL is dedicated to preserving and forwarding the interests of optometrists and their patients in the legislature to ensure that our patients continue to have access to quality vision care. The OAL ensures that optometry has a united voice in advancing our profession and our ability to care for our patients to the fullest extent of our training and licensure. Optometrists face obstacles from many groups such as government regulatory agencies, insurance companies, big business and other professions. Only a united optometric association can effectively lobby for and against legislation, protect the rights of optometrists in the courts and negotiate with the government on behalf of the individual optometrist. The Association continuously and strategically addresses issues in the legislature, courts, and regulatory agencies that benefit its members and the patients they serve. The profession of optometry is dynamic and rapidly changing. Technological advances demand individuals who are educated and well trained in the ophthalmic field. The OAL offers high quality continuing education programs by nationally recognized speakers to keep you up-to-date with the changing profession of optometry, learning new technology and improving management skills while fulfilling state licensure requirements. For the professional optometrist who wishes to compete in today’s demanding health care environment, continuing education of this quality is a must. The OAL offers several different educational opportunities throughout the year, which OAL members may attend at reduced registration fees. Our Annual Convention in June and our Mid-Winter and Fall C.E. Conferences offer opportunities for cutting-edge courses by renowned speakers. Our local optometric societies also offer CE opportunities. Your public image as a primary eye care provider is vital to your success as a doctor of optometry. The OAL work to enhance the public’s perception and awareness of comprehensive optometric health care. We distribute information to better inform the public, educators and legislators about the role of optometry in providing primary eye and vision care. OAL membership gives you credibility. Your association membership lets your patients and your associates know that you subscribe to the highest standards of professional ethics, conduct and practices. Your membership in the OAL gives you access to professional periodicals and communications. This includes a subscription to the online Vision newsletter, which is filled with interesting articles on the ophthalmic industry, state legislation, and information on upcoming events around the state that affect you, the association and your practice. Our membership directory provides members with a reference to their fellow optometrists, including society and committee information. 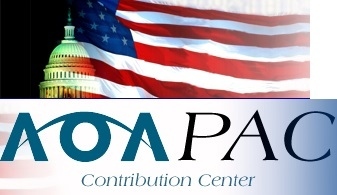 The OAL Web site—www.optla.org— is your information resource for press releases, legislative updates, and up to the minute information about association activities. A Doctor Search feature allow patients to find your practice (s). There is also an online placement service for practitioners looking for buyers, partners or associates. The OAL periodically will send e-mails and faxes for urgent items that need immediate attention. We have also taken an active role in social media. On Facebook we have a closed OAL-Members Only group which provides a forum for member discussions. The OAL is your place for answers. If we don’t have the answer, we will find it for you! Membership in your local optometric society (dues vary by Society), which offers several hours of complementary CE over dinner each year, along with numerous social and networking opportunities. Discounted registration fees at every OAL CE meeting (offered 3 times/year), including our Annual Convention with social activities, an Exhibit Hall, staff training, door prizes, and world-class CE in our home state). Free subscription to the OAL's Vision newsletter, published several times each year, which includes numerous professional articles, a monthly Coding & Billing column, guidance for navigating various government incentive programs, practice management tips, national optometry updates, etc. Access to the OAL website and all it's member services (newsletter archives, job postings, classified ads, message boards, CE tracking, practice marketing direct to the public, etc). Eligibility for the OAL's annual awards (OD of the Year, Young OD of the Year, Distinguished Service, & Public Service). Free subscription to OAL e-blasts which provide vital updates for the profession and your practice throughout the year. FREE: OAL members who have equipment for sale, equipment wanted, or job opportunities may submit a "classified ad" to be posted, on the website and may, also, request that an e-mail blast be sent to the OAL membership. (limited to one per year). THIS WOULD COST APPROXIMATELY $1,400 FOR NON MEMBERS! Eligibility to participate in the OAL's Homegrown Speaker Program, which allows members to gain paid lecture experience at various OAL meetings. 3-) Discounted DocSite Registry registration fee. 4-) Hertz - use CDP # 1273220 (Hertz Rental Cars offers a substantial discount to OAL members). In summary, no organization is better prepared to help Louisiana optometry advance, and with all of these benefits, OAL membership is a tremendous value! We are a group of optometrists, from all different backgrounds representing all the various modes of practice who have joined together to represent, advocate, shape, protect, and enhance our profession. • The OAL is your access to membership in professional optometry. Along with the American Optometric Association and your local optometric society, these three levels comprise what is commonly referred to as organized optometry. • At its most basic level, OAL membership is about ensuring your ability to practice optometry. • You have made a significant financial investment in making optometry your profession and livelihood, and the one most valuable benefit of membership, regardless of your mode of practice, is the ongoing effort to protect your license to practice. • The profession you have studied and trained to practice was not always the way it is now. Through the efforts of organized optometry, we have gained the right to dilate our patients, treat many ocular disease conditions, and serve patients with Medicare and other insurances. • All these expansions to the optometric profession happened because individual optometrists were members of the OAL and AOA; they were willing to give their time and effort to see their profession grow. • Unfortunately, these laws can change at any moment. New laws may benefit optometry or new laws may limit the profession, taking away our practice rights and the ways we make a living. Therefore, our work is never done!